Home Posts Tagged "Laser Tattoo Removal"
For every individual who is considering getting laser tattoo removal, the initial consultation is really important. During their initial consultation they try to know as much as possible to ensure that they are making a right choice and there is not any type of risk. Below are some of the questions that are most commonly asked to us by our patients. For most patients, pricing is an important deciding factor. We have a clear pricing structure that allows us to give a simple and fast answer to our patient’s questions about prices. Generally, the cost of removing a tattoo is much higher than the price of getting a tattoo. But, once the tattoo is gone, it is not coming back, unless you decide to get a new one, so the expense or the cost is worthwhile. The price of tattoo removal also depends on the number of the sessions required to remove the tattoo. So, if your tattoo is too big or has bright colors in it, then it might take more sessions as compared to a single color, small tattoo. 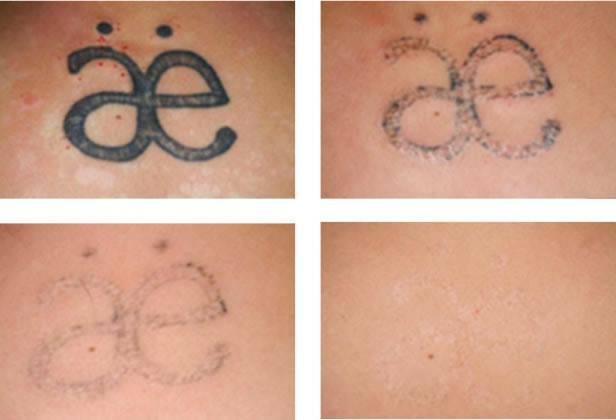 The time of the tattoo removal process is a concern for most of the patients. Some patients may want to get rid of a tattoo before an event, like their wedding. As already said, that duration depends on the colors and size of the tattoo, but it also depends on the ability of the body to eliminate ink from the skin. To give the skin enough time to heal in between the treatments and the body’s immune system to flush away ink, usually a minimum of 6 weeks are recommended for lighter skin tone and 8 weeks for darker tones. The duration also depend on: Fitzpatrick skin type, tattoo layering, location on the body, ink colors, amount of ink and pre-existing scarring. Laser tattoo removal usually involves some level of pain. That said, many people say that it hurts less than they imagined. It is a common belief that tattoo removal is painful, still most patients say that the sensation of removal is comparable to getting a tattoo. Common experiences include the sensation of a rubber band snapping against the skin. Basically pain is involved, but it is bearable. In some cases we also provide a type of soothing to the skin during the treatment. 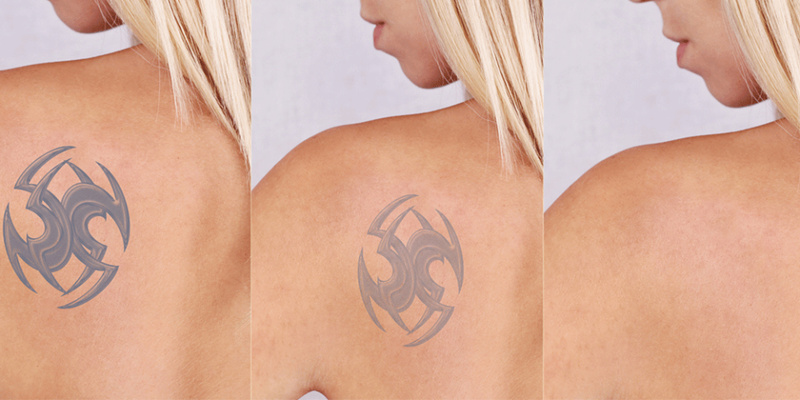 Offering skin numbing at the time of the tattoo removal allows patients to stay comfortable. 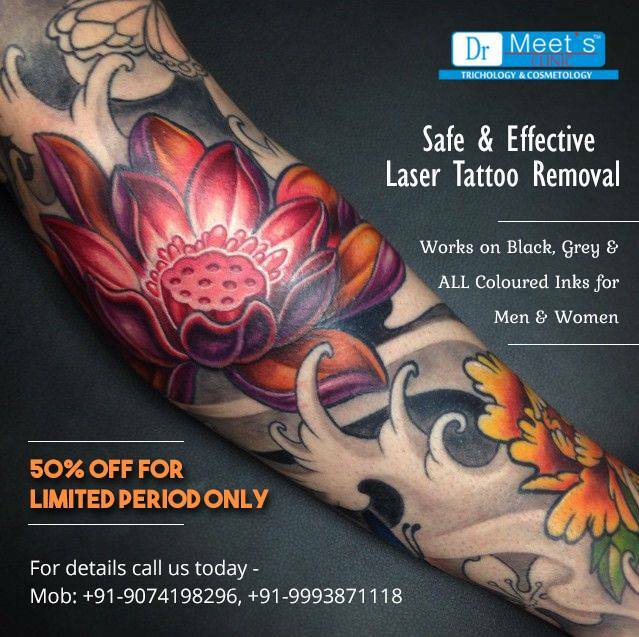 For laser tattoo removal consultation, feel free to get in contact with us.